Her life was profoundly changed with just one statement. Missy continued that focus, using what she learned in the book. What remarkable results! I had a defining moment about seven years ago but the feeling and memory of the time is still vivid. I was sitting in a commercial airplane and as I was watching the baggage being loaded, a strong wave of elation filled my entire being. In response, I silently stated, “I love this thing called travel and I would like to do more of it.” It was not just a wish but somehow I felt it was compelling and important. At the start I was like the average person where time and money for travel were very limited. The logistics of living in a small New Mexico town in the middle of nowhere only added to the limited traveling opportunities. 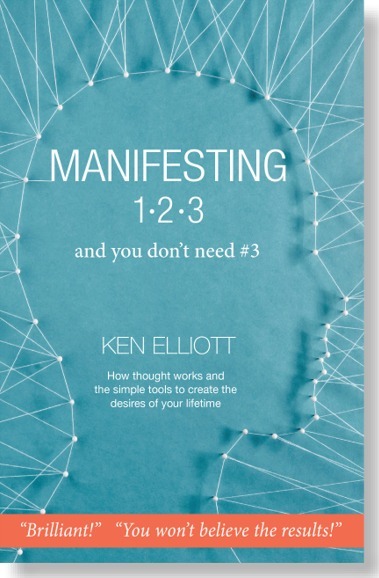 I shared my desire to travel with my friend Ken Elliott. He suggested that I add the phrase,”With an ease and a grace” after my manifesting statement. That has proven to be very good advice!! And travel I have! Over the past seven years I have been on cruises in the Mediterranean and in the Caribbean. The ocean liners varied in size from large ships to personal yachts. I had family members with me for weddings in San Francisco, Fort Worth and Denver. The family trips were wonderful. There were also trips to beautiful ranches in south Texas and Wyoming. There I was surrounded by nature, leaving me rested and restored. I later attended a fun workshop in Denver with Ken Elliott and Judy Goodman and another Colorado conference at Copper Mountain. For the last five years dear friends have shared their annual Grand Cayman Island vacation with me. Three years ago we decided to expand those trips to include what we jokingly call a vacation in a vacation. On the way back to New Mexico, we first spent a few more days in Florida and South Carolina. Then my travels began to take on different and significant purposes. In 2014 I was often traveling to Dallas to care for my sister. Fortunately, she has since recovered. Beginning in 2010 I was doing 400 mile round trips to care for my aging parents. I kept my humor with this because I was traveling with five large dogs and one ancient cat in a small SUV. It made for epic trips. In 2015 I finally left for Texas and moved into a bedroom with my parents. I cared for them while they were both in hospice. My cat had passed away but the dogs came with me. Thank God for a large, fenced side yard. My parents loved having the dogs around. My mother passed in 2016, but I was there for her. The following September my best friend, a nurse, accompanied me to Florida. I was seen by a specialist and had a successful surgery. Nothing like having your own private nurse to travel with you! The travels continued, a back again to care for my father before his passing in December 2016. A few months later I returned to my parents home to clear it and put it up for sale. I never had to put it on the market. The neighbor across the street paid cash for it! The trips didn’t slow down. In early in 2018, my daughter and her husband were diagnosed with chronic Lyme disease. It was a difficult situation and in time we learned a lot about this disease. My daughter is improving and has returned to her private therapy practice. My son-in-law is still challenged so prayers for both of them are welcome. We understand this is a long-term treatment plan but we are grateful that we have found some answers! All of this travel and the way it manifested has transformed my understanding of my initial thought on the plane seven years ago. My travels have led me through some narrow valleys and onto spectacular mountaintops. I cared for the dying, supported the sick, danced in a conga line on the beach, and later I fell to my knees in surrender there. I belly laughed with friends, had a pity party, joyously floated in the warm sea and I developed deep and meaningful relationships with family and friends. I have been humbled by the kindness of strangers, marveled at the colors the in the skies and over the prairies and seas. So much was experienced and seen. I moved between two worlds of travel. There was the travel for my renewal and expansion and the other trips were in service to others during their time of challenges. While traveling, provisions for my needs for always met. Places to stay and and helpful people were always there and sometimes at the instant of need. Other times I learned to stand patiently in my ease and a grace until the solution I required manifested itself.